Online gaming is a fun-filled activity that may be used to combat boredom and interact with others via the internet platform. It is especially handy in the winter months when hardly any direct physical contact may be possible owing to the very harsh external weather conditions. However, it is not without any dangers and as such, certain precautions ought to be observed in case the very best experience is to be attained. Different age brackets have various levels of mental and emotional maturity. It is, therefore, necessary to see to it that the game selected accurately reflects the age and emotional maturity of the gamers. Deliberate steps ought to be taken to select only those games that are educational/informational and hence may add some value to the gamers over and above merely entertaining them. For little kids, games that require the active parental presence or direct involvement ought to be preferred. Online gaming is very addictive. If the young ones are left to play the games unhindered, they may end up neglecting other chores that are equally significant not to mention poor performance in school. It is therefore imperative that clear guidelines be put in place to tightly regulate the amount of time that may be devoted towards gaming. A timetable should ideally be drafted and strictly adhered to, with some punitive measures taken in case of violations. Not every online game is suitable for human consumption. There are so many games which may be very detrimental to the psychological and emotional well-being of the gamers and must, therefore, be avoided at all costs. Such games include pornographic contents, X-rated films, violent games, games containing foul language, games that contain explicit content, and those that tend to promote and encourage deviant social behaviours such as drugs and substance abuse and indeed, more besides. Parental controls should be effectively utilised to achieve this noble end. Privacy data such as passwords, usernames, telephone contacts, physical address, and exact identities should not be shared to the other gamers on the internet platform. That’s because they may be used to conduct fraudulent transactions. Moreover, not every person who plays games online means well. Some may, in fact, be predatory in the sense that they may use the online gaming platform as the avenue to traffic humans, rob people, bully children. From time to time, some online gamers may take advantage of the anonymity that the internet platform confers to among others, traffic humans, rob people, bully children as has already been stated above. If and when such suspicious activities are detected, it is imperative that they are reported to the nearest police station for immediate action. Parents should ask their children whether they have ever experienced or identified any of the issues above on a regular basis and act on them soonest possible. Children are very gullible and are thus quite prone to the downsides of cyberspace. Direct parental involvement and participation in their online gaming activities are therefore by all means essential. Parents should preferably play some of the games with them to ensure that the contents they expose themselves to do not in any way pose any dangers or risks. If this isn’t possible, then the parents should at least study the history of the sites that their children have visited online to get to know of any potential dangers and respond to them promptly. Computers that are connected to the internet are very susceptible to attacks of various kinds such as viruses, worms, spyware, and bugs. These risks, if not mitigated in time, may compromise the well-being and efficacy of the machines and should, therefore, be tested and eliminated as soon as possible. This may be accomplished by way of installing firewalls, anti-virus software and seeking the intervention of computer experts regularly. To fully leverage the benefits of online games/online gaming platforms, a significant amount of courtesy ought to be sustained. Gamers should desist from using foul language or bothering other users unnecessarily. 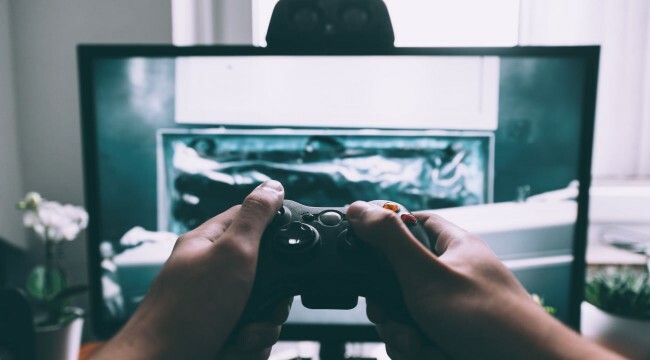 Such words and actions have the potential of provoking hate, discomfort, and resentment from other online users, a fact that may substantially impede the quality of an online gaming experience. In as much as the online games may be played via the personal computers or in a cyber café, they are best enjoyed if played on a gaming laptop. The best gaming laptop ought to have a huge screen; be able to stream contents from the internet at high speed; be capable of connecting to, and communicating with other like-minded devices; have a breakneck processing speed; and a large storage capacity. Online gaming is pretty impressive indeed. Further to that, it is still in its infancy and as such, is yet to gain wider acceptance. This is the children’s companion of the future as more and more parents are likely to adopt it in future. It is, therefore, an issue which any serious parent ought not to overlook.